Allergies are among the most common chronic conditions worldwide, with prevalence of the whole population by country ranging from 10-40%. A number of triggers, such as food, dust and pollen, are responsible for allergic reactions, activating symptoms in the nose, lungs, throat, or on the skin. Even beyond physical effects ranging from mere irritation to anaphylactic reactions, people living with allergies can also suffer some physiological effects that impact on lifestyle and self-esteem. Today, high percentages of individuals dwelling in China’s major cities suffer from various common allergy types. The growing scale and impact of these allergies in China have come as a result of changing lifestyles and severe indoor and outdoor air pollution. These lifestyle changes include changes in diet, activity, and a general rising trend of people moving into more diverse, polluted urban areas. The social expectations and pressure of living in the city can increase frequency of stress, often compounding a person’s allergy problems. Whilst stress itself does not induce allergic reactions, the consequential increased levels of histamine in the blood can worsen allergic reactions. As a result, more and more individuals require treatment for issues that either were previously left unresolved or were simply uncommon within populations. Whilst treatment levels are increasing, the absence of credible diagnostic information and general lack of awareness about preventative treatment means that many people remain untreated. These untreated allergic reactions cause myriad problems for both the individual and society — the individual suffers the physical and psychological impacts detailed above, whereas society bears the economic burden of employees’ missed workdays, school days, etc. Therefore, promoting understanding of the growing prevalence of allergy issues in China is key, so that individuals can be best treated and harm mitigated. 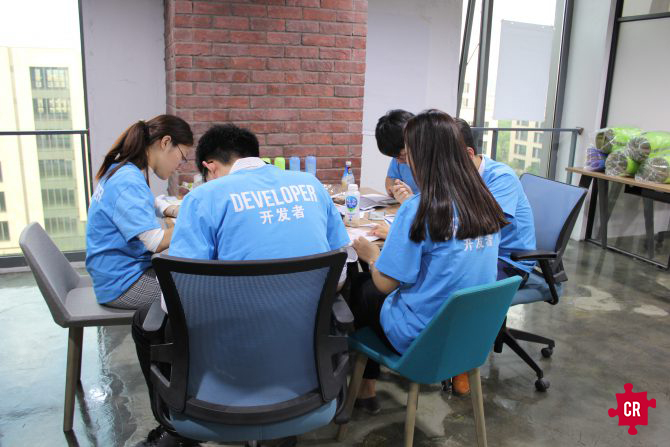 With this in mind, pharmaceutics company Bayer, in conjunction with Collective Responsibility, staged a 24-hour Hackathon in China to dive into the issue. Gathering undergraduate students from a wide range of Shanghai institutions, 6 teams were assembled and tasked with developing possible solutions to the problem. By leveraging technology with their wide-ranging knowledge in the area and multidisciplinary skill sets, the students banded together to approach the problem and propose potential steps forward. The output at the end of the 24-hour deadline was some highly innovative solutions that the students presented to a team of specialists and Bayer representatives. Check out the video below! Tags: Bayer, events, hackathon, innovation, students.